Strange Conspiracies: Osama Bin Laden is Dead! Osama Bin Laden has been killed! FINALLY! That is all I have for now but it was just released. I will get back to you when I have more information. The research begins. Obama killed Osama.....funny this comes a year before the next presidential race. I wonder how many puppets are going to vote and try to re-elect Obama just on this premise. Doesn't this sound strange to you? I mean how long have we been looking for this guy and now the "savior" Obama comes in to take care of America's #1 bad guy just in the nick of time? Sounds fishy to me. It has been almost 10 years since the September 11th attacks on the World Trade Center and the Pentagon. check this I just got it from YouTube Osama bin laden is not dead,IT'S FUNNY but very interesting it looks like the truth,for how long are we going to be kept in the dark. We will ALLWAYS be in the dark until CHRIST return ...PERIOD! 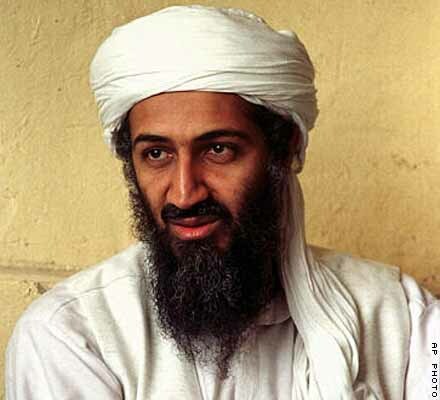 Osama Bin Laden was supposedly killed in an early morning USA Navy Seal raid on a compound in Abbottabad Pakistan. Then, in a desperate attempt to honour their sworn enemy, they took possession of his body and supposedly received Islamic clerical advice on how to bury Osama at sea in accordance with Islamic tradition, laws and customs. Only problem is, according to Islamic clerics at the largest mosque in Cairo Egypt, you can only be buried at sea if you died while on a boat. Otherwise you must be buried in the ground with your head pointing to Mecca. This is the correct way to be buried according to Islamic law and tradition. Obviously, this is another attempt to manipulate the world population with deceit, to inspire anger, to instill fear, to add to the confusion, to GET A REACTION. However, it’s not the USA administration that orchestrates this, as is suggested, it’s the mathematical sequencing of the luciferian Mindset, and is how the egregore group of Thinkers, (which is the Thought Process), unfolds in the 3D scheme of things. This mathematically constructed 3 dimensional illusory realm cannot help but manifest yet again, as we’re witnessing with the fabricated death of Osama Bin Laden, in a fashion that conjures up the intended illusory 3D reality we’re meant to experience. Osama Bin Laden is a type of LION KING, even as Lincoln, Kennedy and Obama are types of the Lion King, which is symbolized with the Sphinx of Egypt. This is the symbolism of the SPHINX, which is the SUN and MOON, the SON and MOTHER, which is SOL-O-MON’s Temple. In other words, the Lion King, the SUN/SON of sacrifice, is LADEN WITH SIN, which are the SINS of THE WORLD and this world deserves to be judged and cleansed. It was just yesterday that Obama publicly ridiculed DONALD (Trump) concerning the DONALD’S comments regarding his nation of birth. Obama played a clip of the Lion King movie in a gesture of back-handed humour, (so much deserved by Trump), to establish his birth event, and yet, the suggestion is, of course, that Obama is the Lion King. Even though Obama has no idea of the suggestion that he’s implanting, or the seriousness on a 3D level, that this will create for himself.